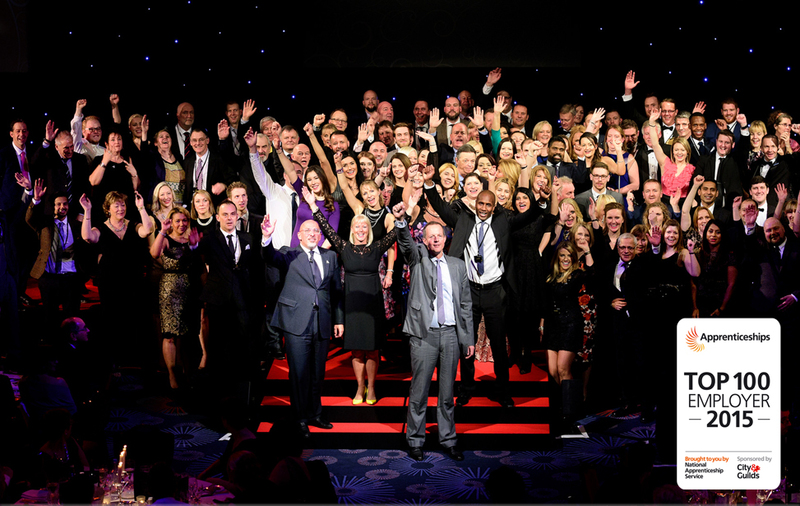 Breyer Group, has been handed a prestigious award in recognition of its practices and achievements in helping its staff, subcontractors and customers get home safely at the end of the working day. 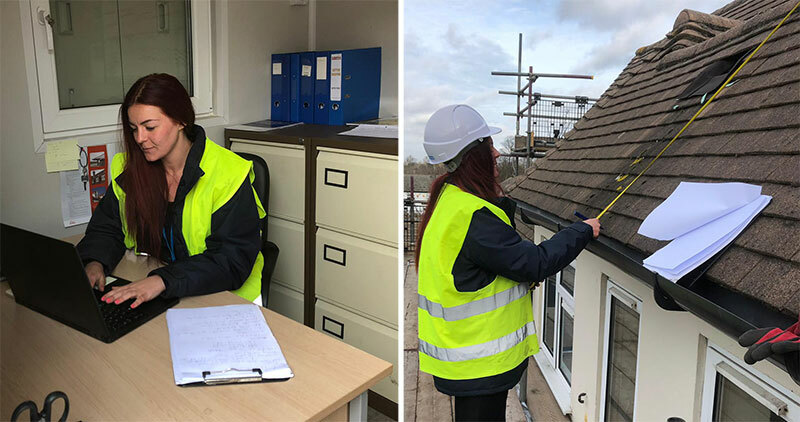 Joanna Dixon has been appointed an Assistant Site Manager in our Roofing Division having joined Breyer in January 2018 as a Resident Liaison Officer (RLO) in Sutton. 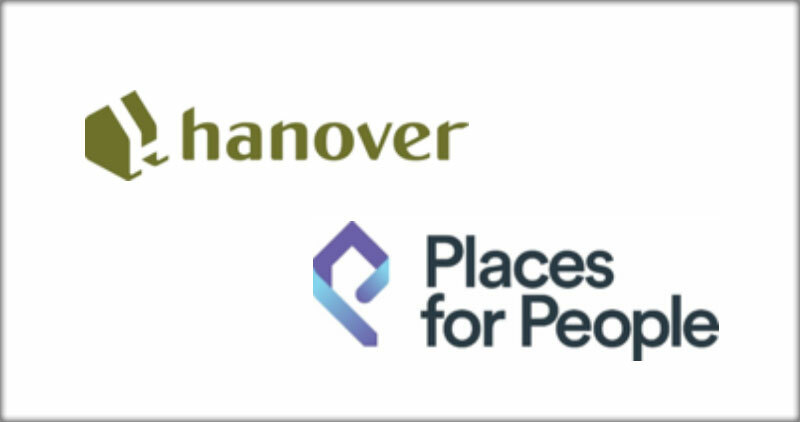 In a great start to the New Year Breyer Group have won two new contracts in the South East of England Hanover Housing Association and Places for People Homes. 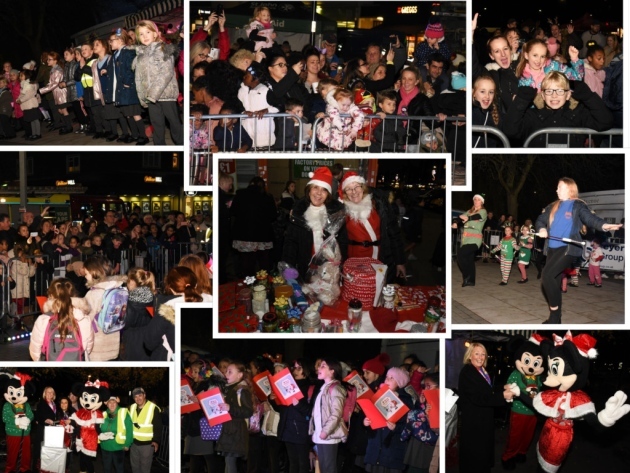 A group of residents from a Harold Hill Facebook group suggested that they wanted to bring Christmas cheer and to host a Community event to celebrate the “Light Switch On”. 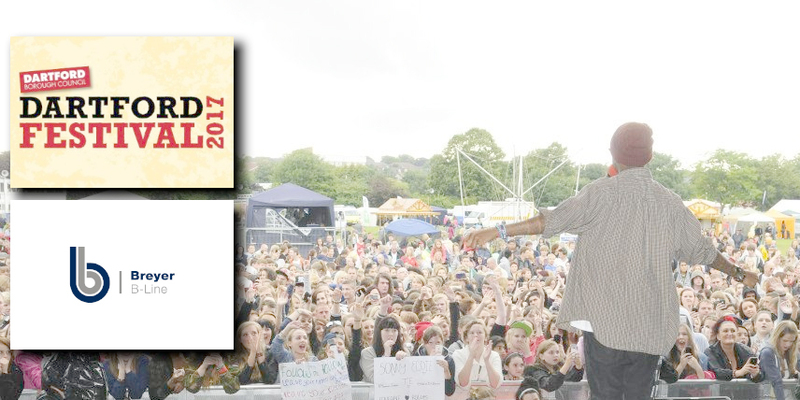 Hundreds of residents came forward and offered their services voluntarily to help make this a magnificent event. 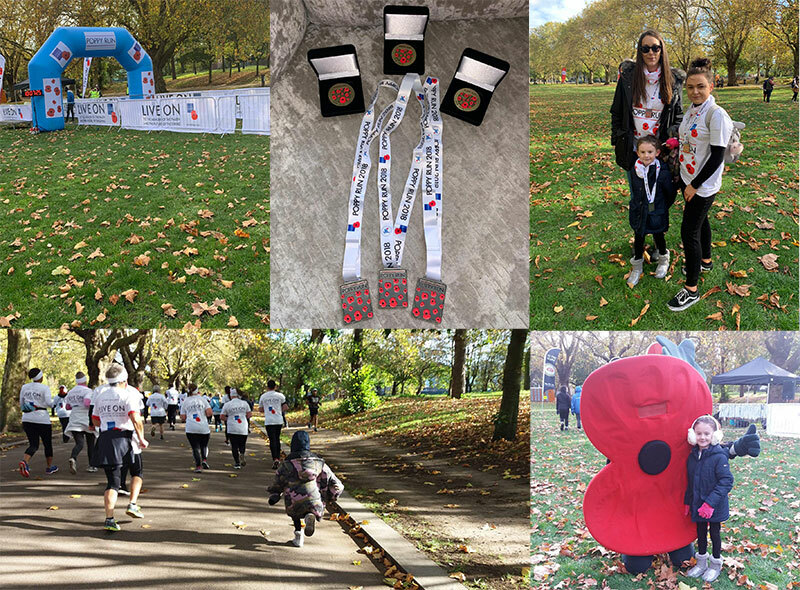 Breyer Group employee Vikki Holt, her 6 year old daughter Bella and Nicole Turner who works for one of our clients Clarion Housing Group completed the Royal British Legion Poppy Run in Victoria Park, London on 27th October. 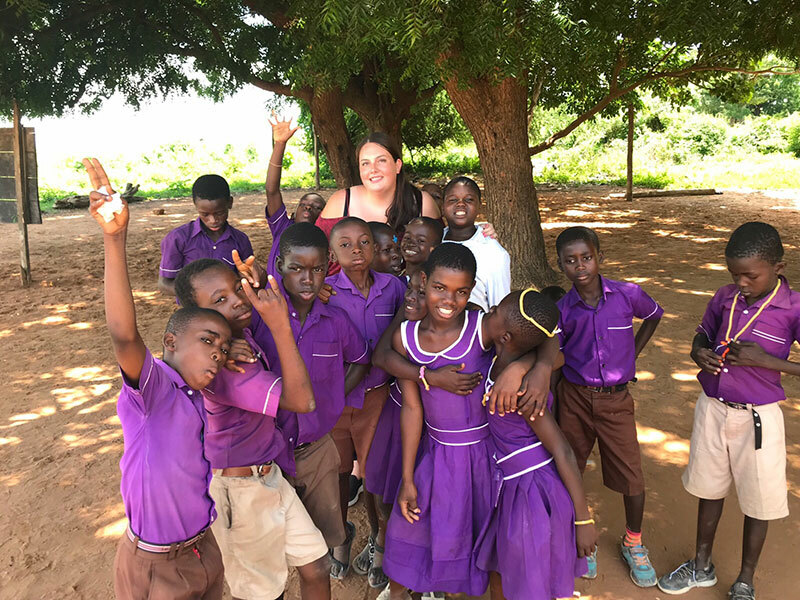 Victoria is a Customer Service Advisor at our Dartford Branch who is going to Ghana to take part in a volunteer scheme – here she tells us what she is expecting…. 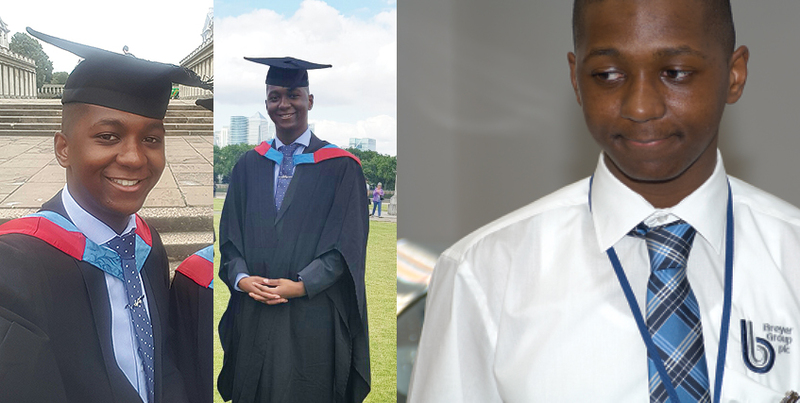 On the 10th of September 2018 I will be jetting off from Heathrow airport London to Accra City in Ghana. 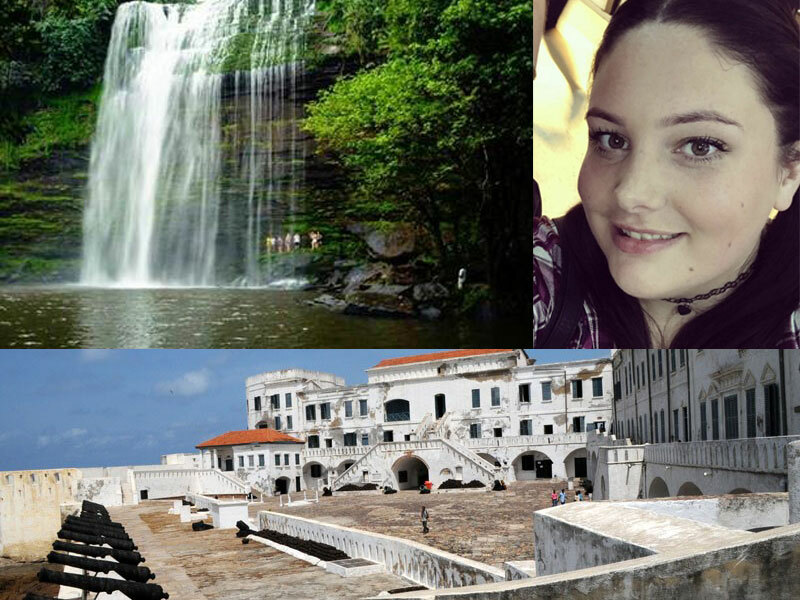 I will be staying in Accra in a volunteer house with other men and woman that have travelled for the same reason I have. 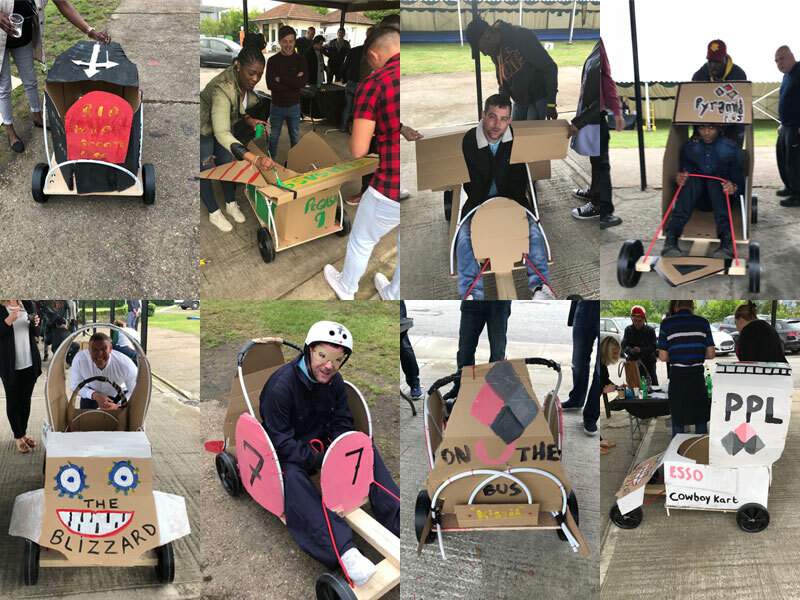 On Friday 25th May 2018, Pyramid Plus London (PPL) held their first annual staff away day at the historic Brooklands Motor Museum in Surrey. 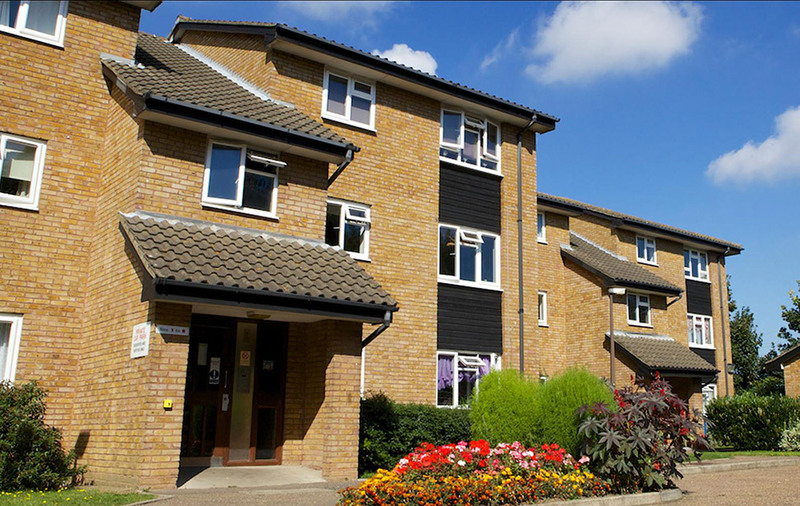 PPL is our Joint Venture with A2/Dominion based in Ealing providing a full Repairs and Voids service. 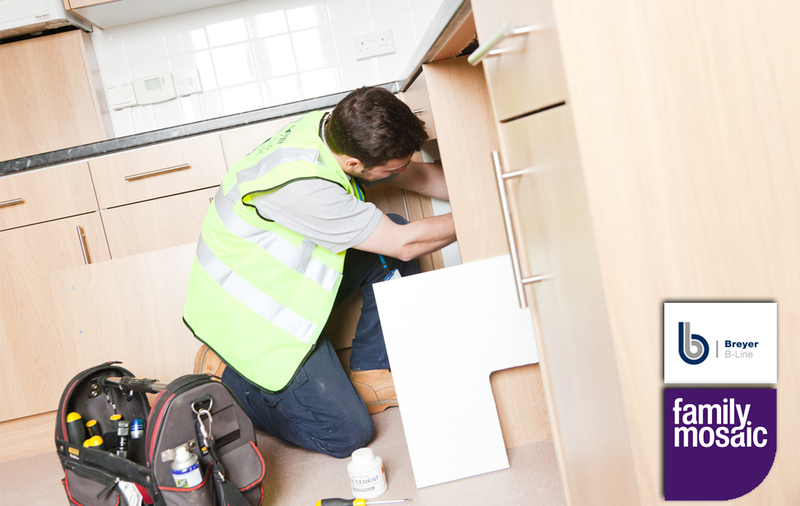 Following an attempted break in at a residents home on our PPL contract, Kevin reported that he needed an urgent repair. 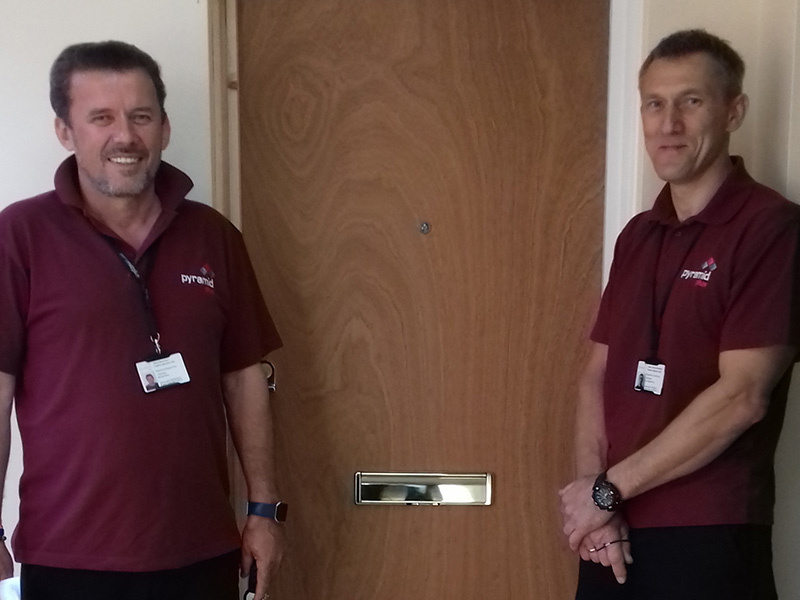 We needed to fit a new door frame and door with new high security locks. 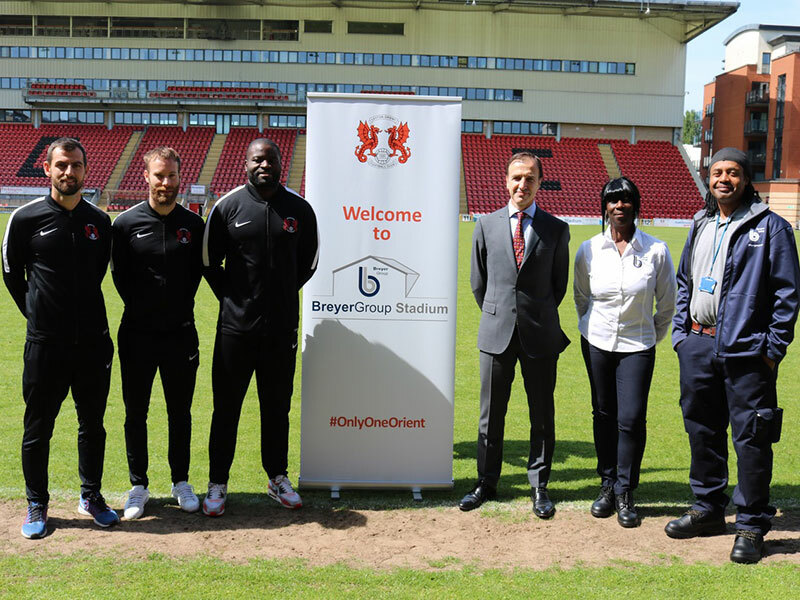 Breyer Group is pleased to announce its sponsorship of the stadium at Leyton Orient FC. 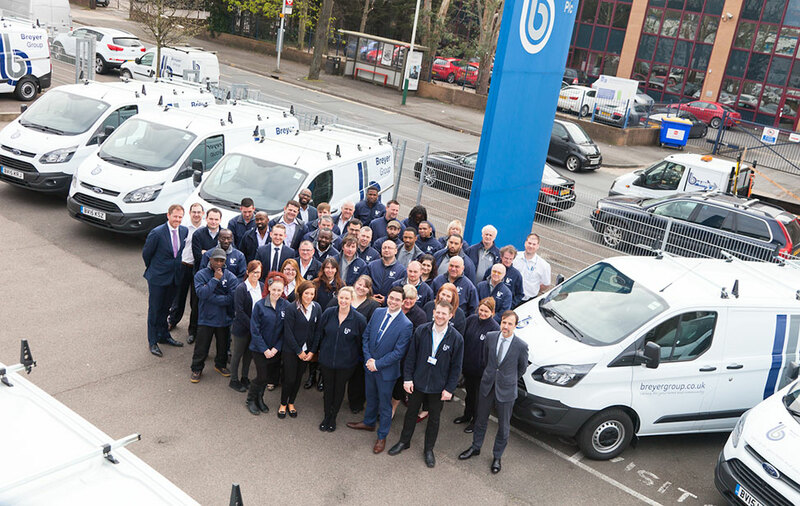 The partnership was launched at the stadium on Friday 18th May 2018 (photo attached) with an initial 2 year agreement signed. 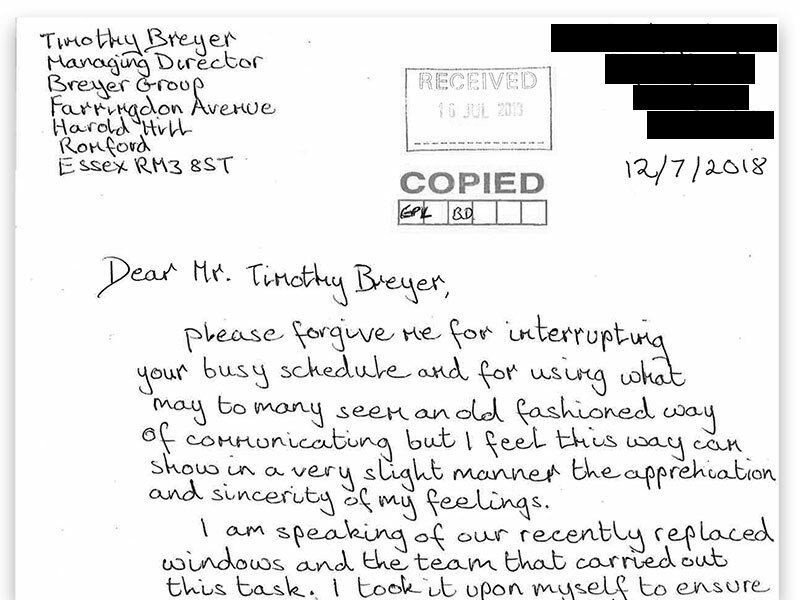 Here at Breyer Group HQ, we receive many emails and text messages of thanks from our clients. 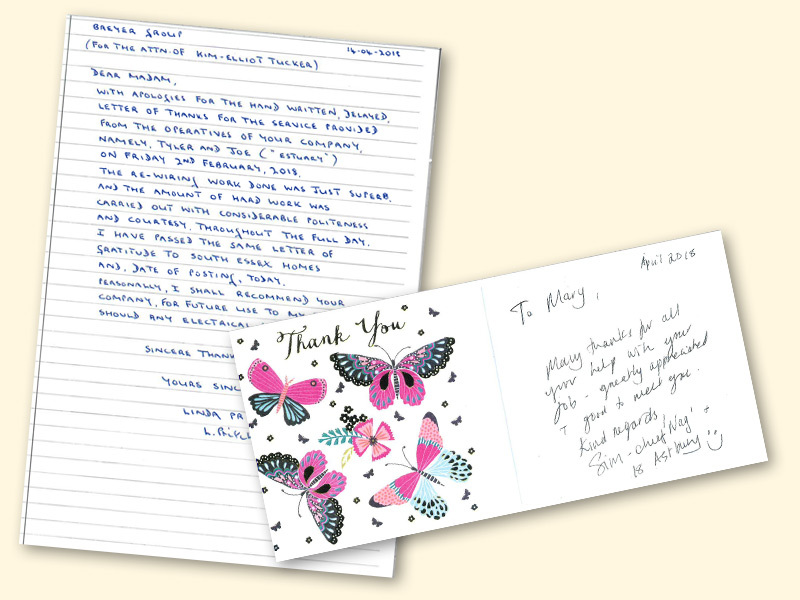 We also receive the occasional hand written letter or card too which we love just as much. 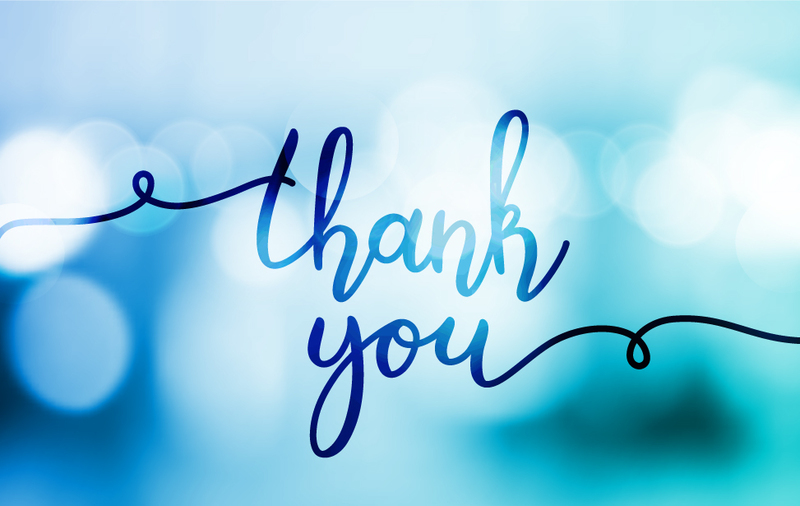 Breyer Foundation Boxing Night is a Sell Out! 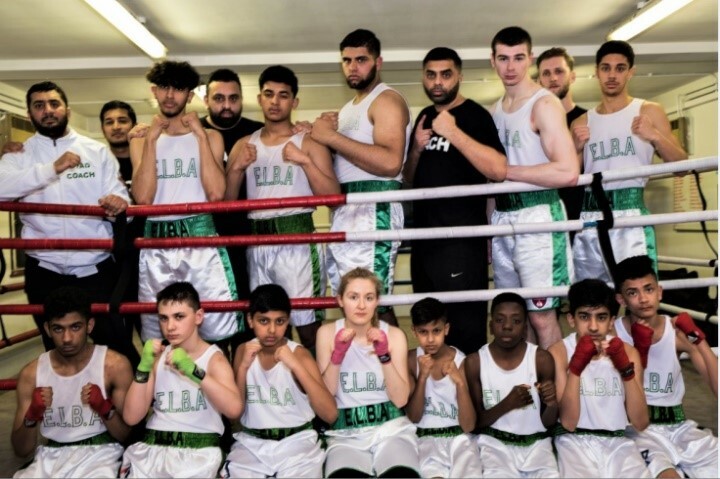 On 10th May 2018 The Breyer Foundation are hosting a Boxing Dinner Show in conjunction with the East London Boxing Academy. 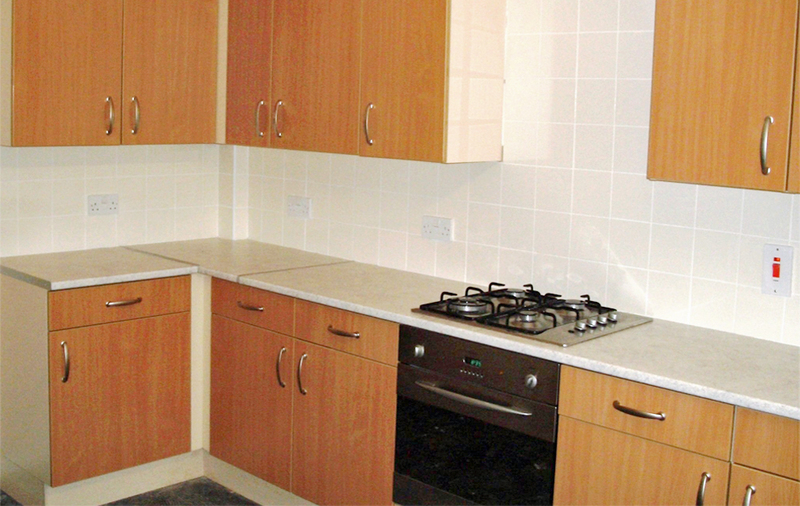 We recently carried out kitchen and bathroom works at a project for Affinity Sutton (now Clarion Housing). 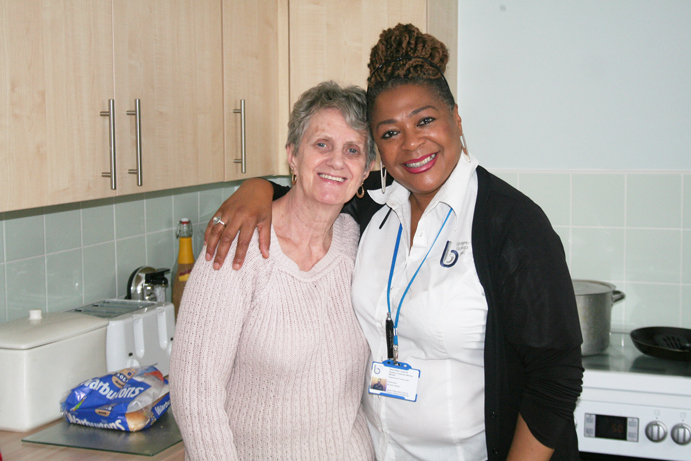 Marie Sayers, one of the residents was so impressed by Shereen Hylton, (Resident Liaison Officer) that she sent in the following email. 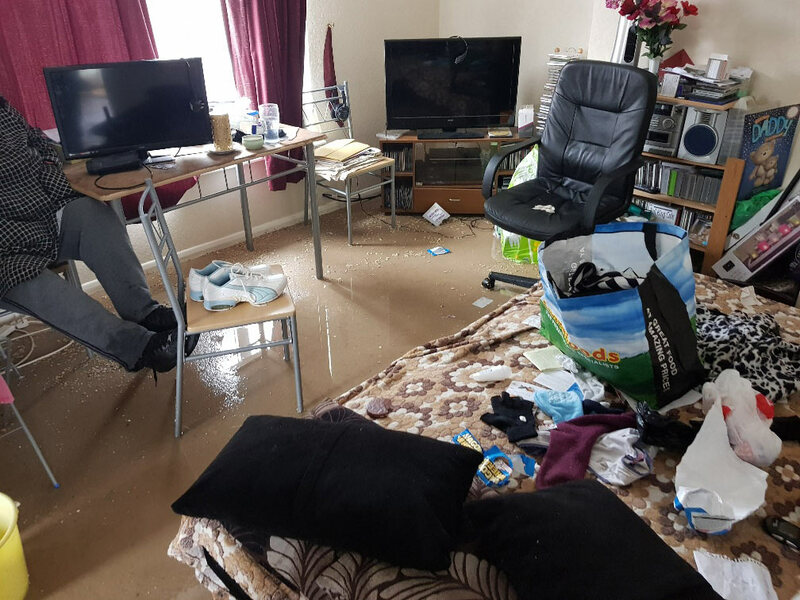 After a week of freezing temperatures we know to expect emergency call outs when Frozen pipes burst. 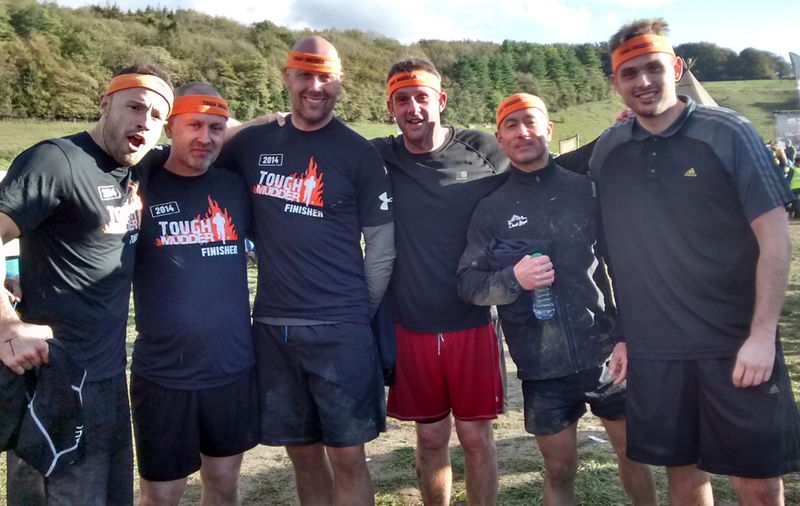 With the thaw forecast for the weekend of 3rd and 4th March it was essential that we made arrangements to have extra teams on standby. 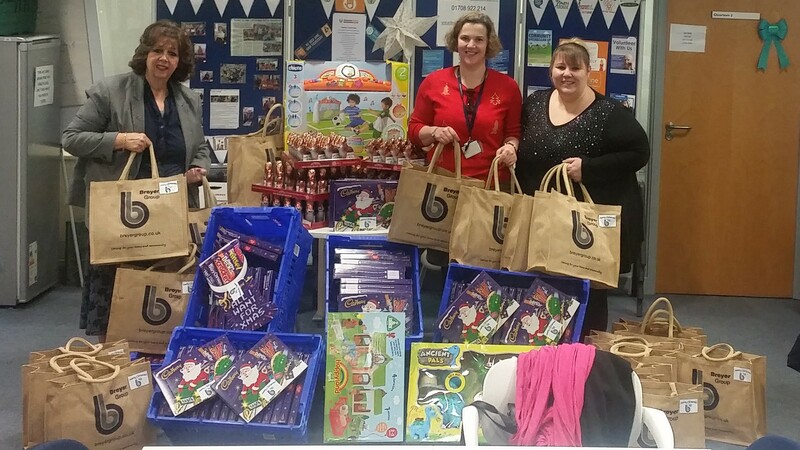 Breyer Foundation supports the London Borough of Havering Children Services as they transform an existing shop into ‘The Cocoon’. 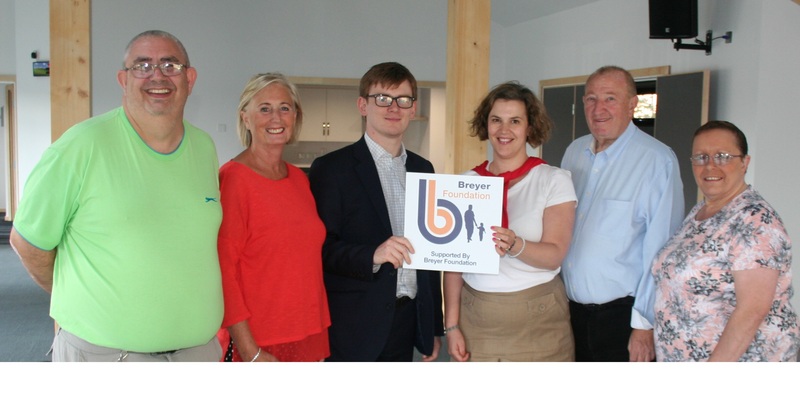 Breyer Foundation accepted a very kind donation from Enterprise Holdings Foundation for the sum of £1500. 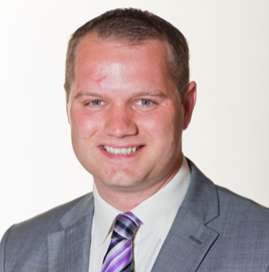 Our Managing Director, Tim Breyer, and the entire staff at Breyer Group are very happy to welcome Dave Perry into his role as our Business Development Manager. 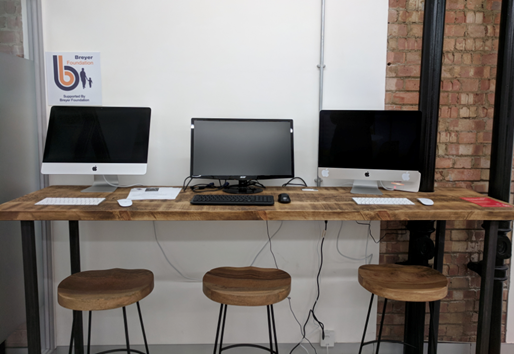 The Breyer Foundation donated IT equipment to London Borough of Havering to enhance the services offered by the various Job Clubs within the borough. 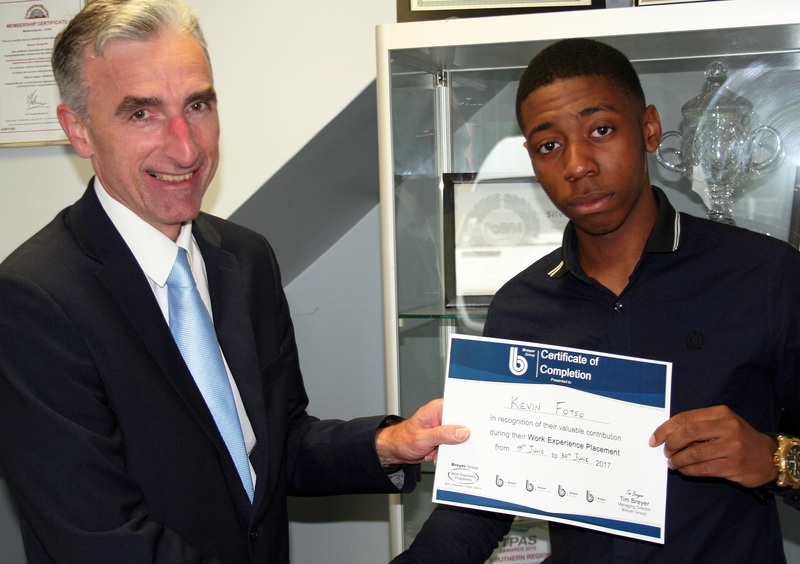 Relationship between London Borough of Barking and Dagenham and Breyer Group continues to build! 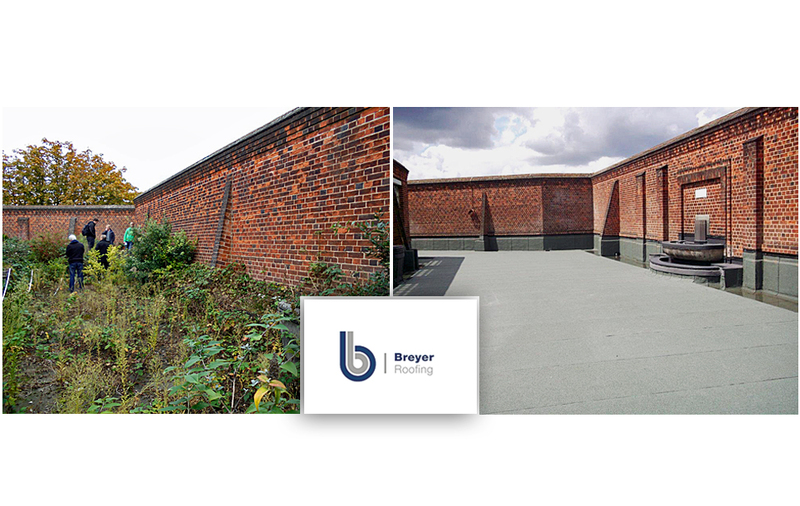 Breyer Group’s Internal Refurbishment Programme is extended by Local Authority after a successful delivery during 2015. 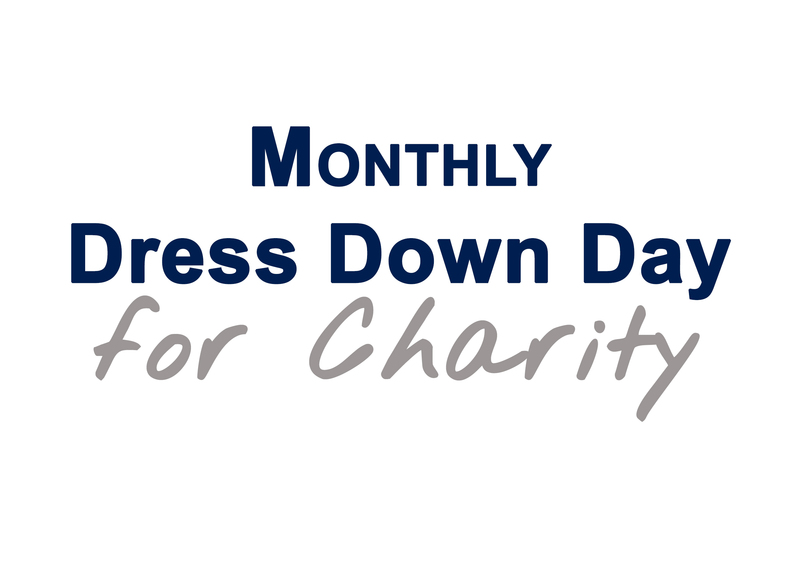 We supported World Child Cancer and Emmaus by raising over £300 through generous donations during this month's 'Dress Down Day for Charity'. 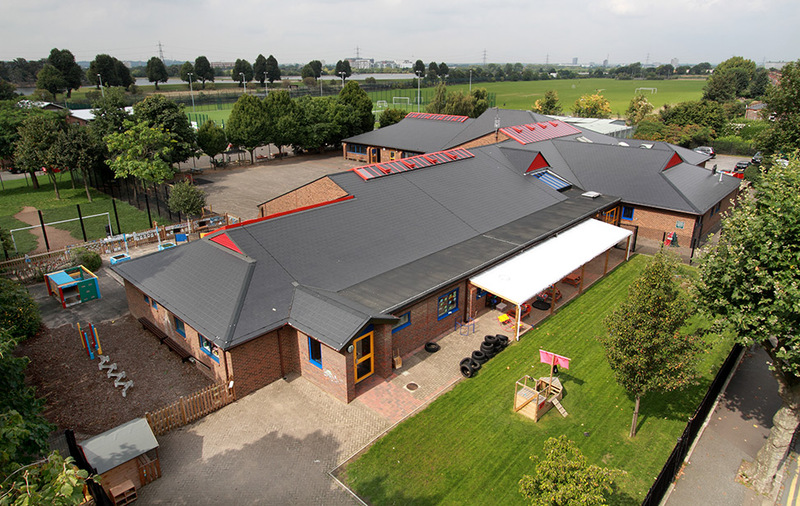 Our Roofing Division is constantly keeping busy, working on over 30 projects across London and South-East. 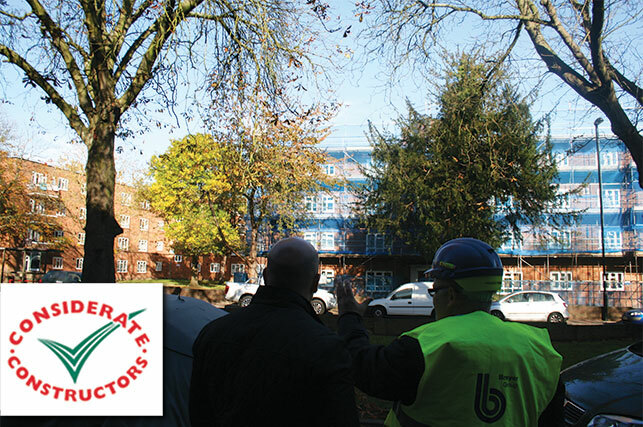 We are extremely pleased to announce that we have been awarded both Lot1 and Lot2 of the £3.5m Gravesham Internal and External Building Works Contract. 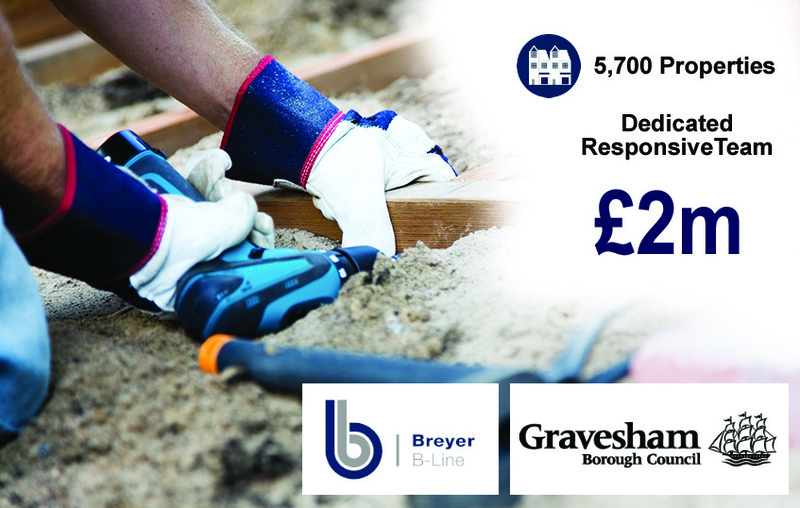 Breyer B-Line will be carrying out responsive repairs and maintenance on 5,700 properties within the area. 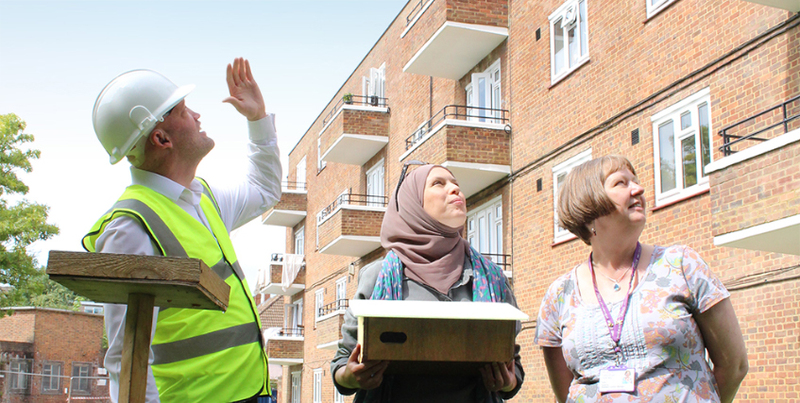 We decided to get involved in saving Lewisham's protected bird colonies as we take to heart the environment where we work. 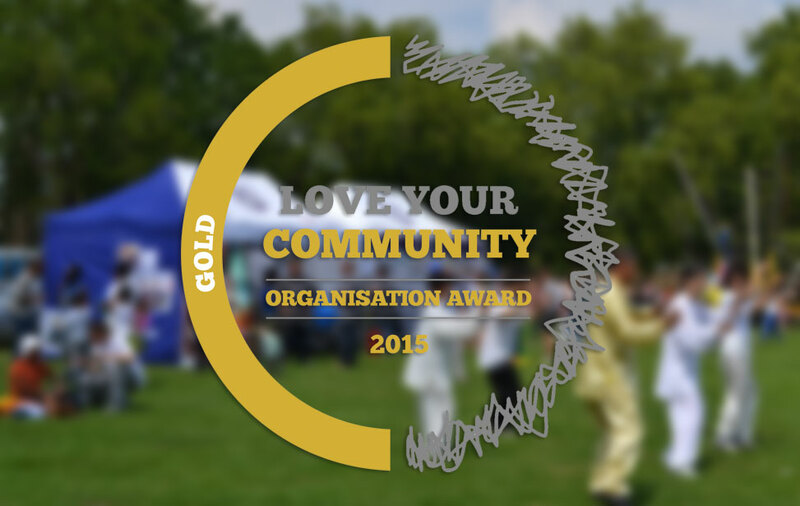 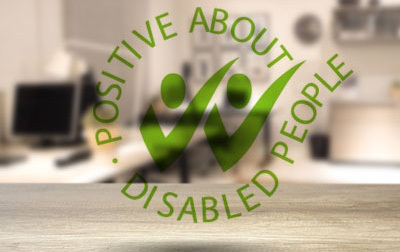 We are pleased to join forces with different organisations for a good and deserving cause. 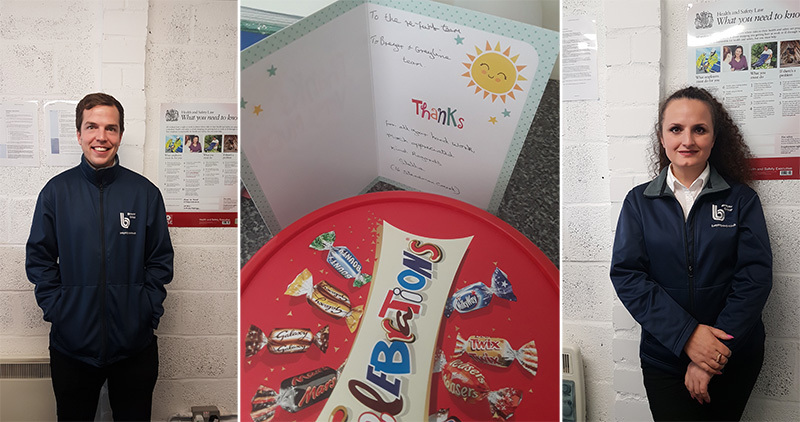 We are proud to have helped another young student to start their career. 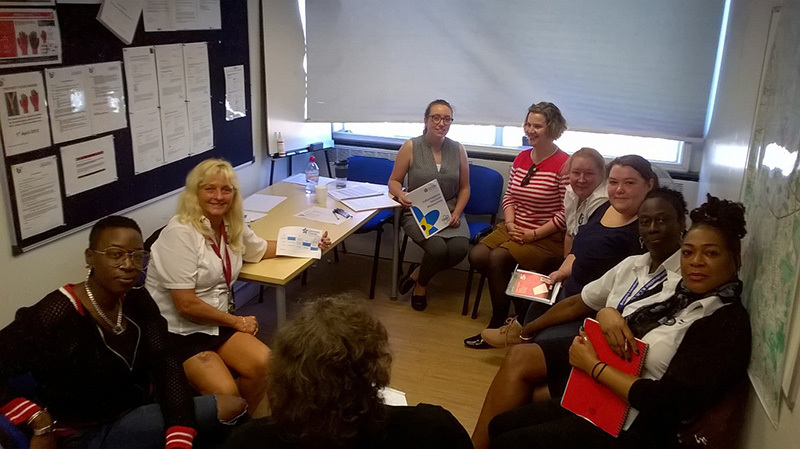 Felicity recently completed our Work Experience Programme, which helped her to enhance her skills. 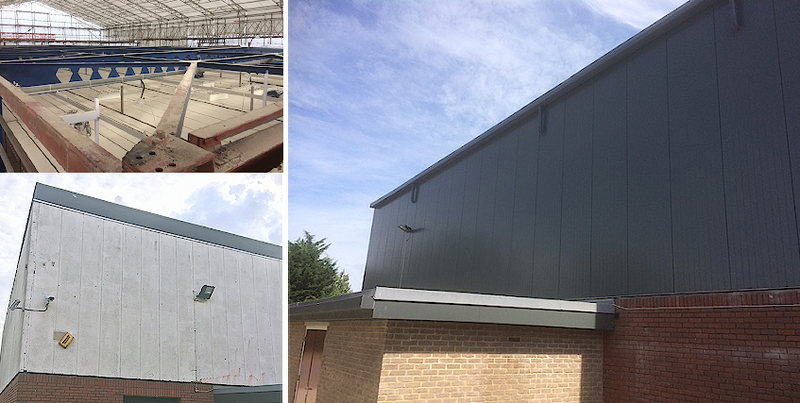 Our Roofing Division recently completed the refurbishment of Mandeville School and Sports Hall (Surrey) roofs. 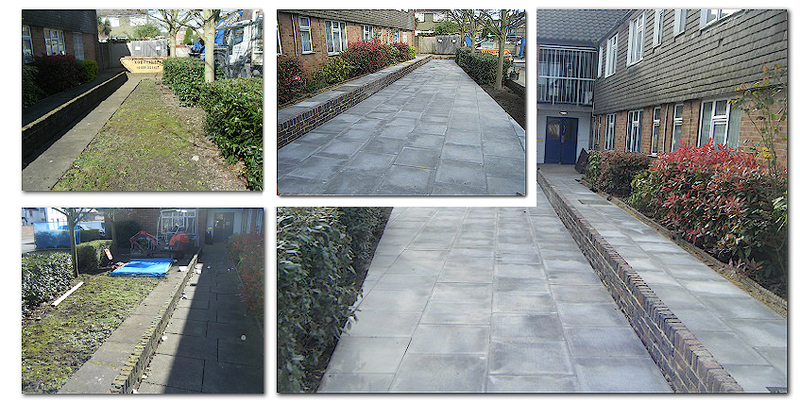 Our Construction Site Team and Supply Chain carried out refurbishment and renovation works to the Hawthorn Centre as a goodwill gesture towards the Residents and local community. 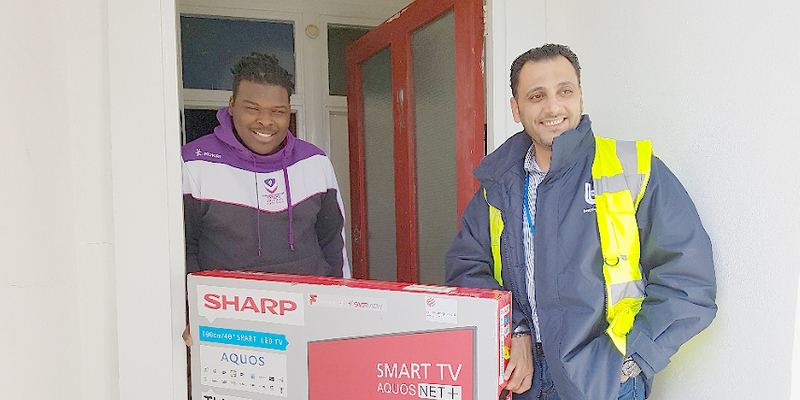 Congratulations to our Lambeth Resident for winning the 40inch Flat Screen TV! 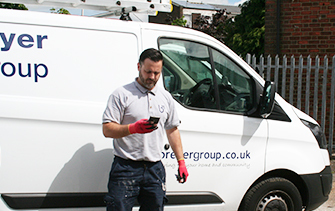 Breyer Group will be going back to Stevenage for more works within the Borough, after successfully completing the Roofing and Planned Maintenance works in 2015/16. 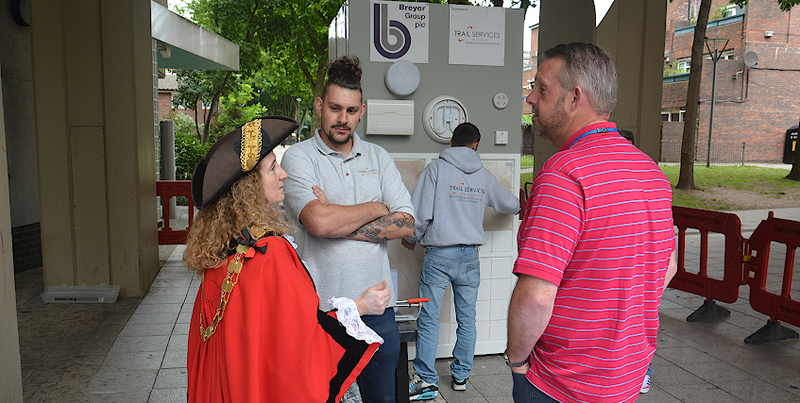 To support all those affected by the Grenfell Tower fire accident and the British Hearth Foundation, Breyer Group raised funds during the monthly 'Dress Down Day for Charity'. 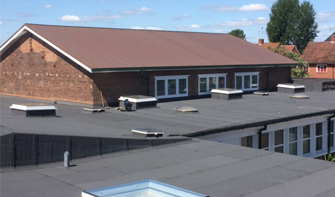 Breyer Roofing completes Major Works at Sandcross Primary School, Surrey. 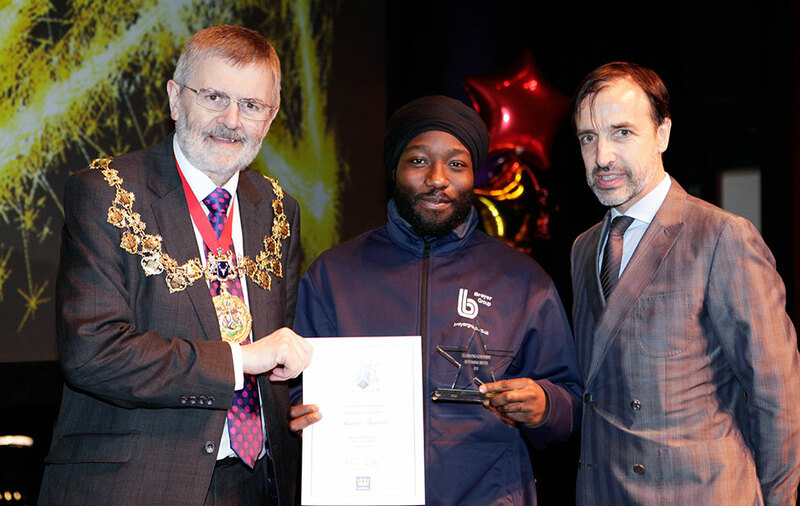 "This experience has helped me to understand what to expect after college and from my future career"
James Best, B-Line Electrician was selected to appear on ‘At the Heart’ magazine, to represent our Responsive Maintenance division currently working on the Havering contract. 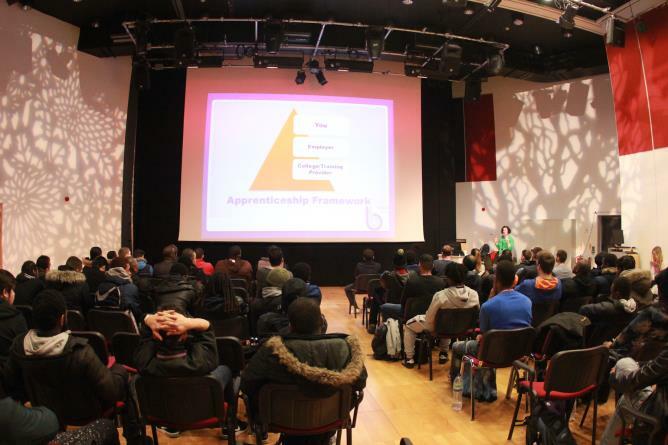 Breyer Group actively participated in the successful outcome of this year's Presenting Yourself Day. 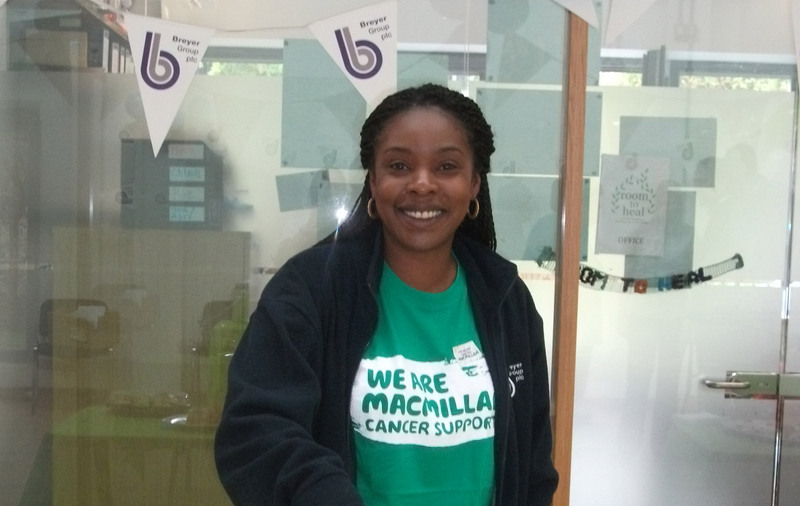 Breyer Group supported Bliss by raising over £200 through donations during our monthly 'Dress Down Day for Charity'. 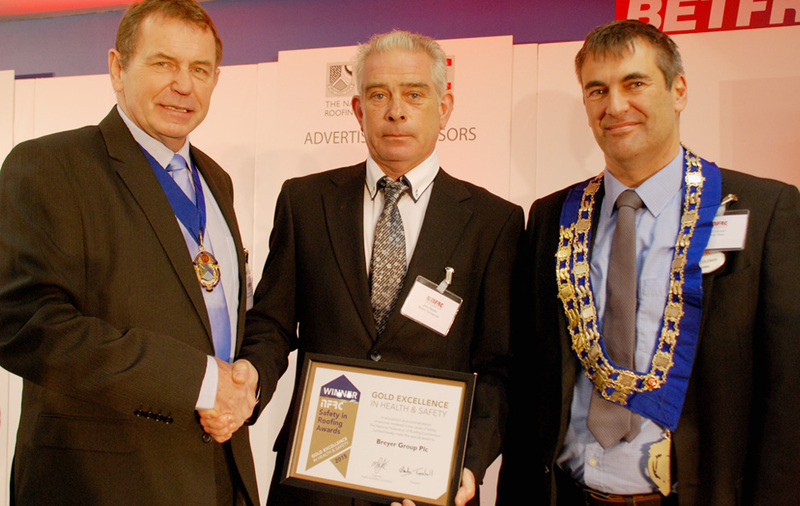 Breyer Roofing recognised Gold Winner 2016 Health & Safety in Roofing Awards. 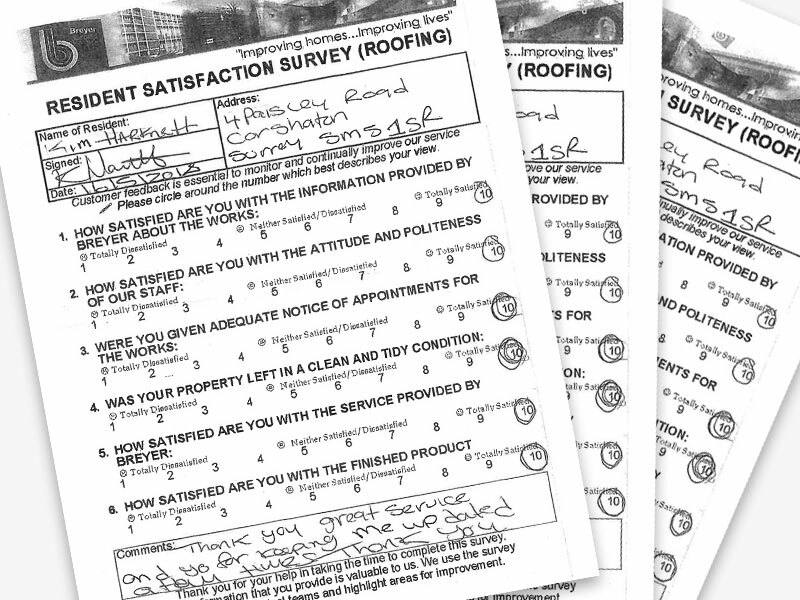 An overview of the contracts won by Breyer Roofing over 2016 and a glance at the busy 2017 ahead. 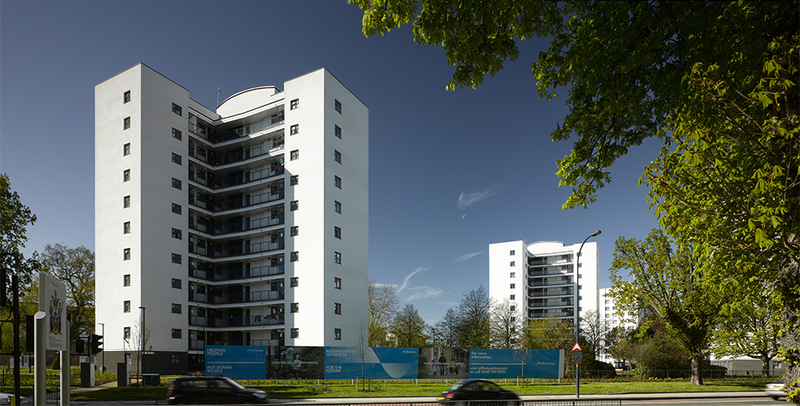 Breyer B-Line secures Family Mosaic contract for repairs framework. 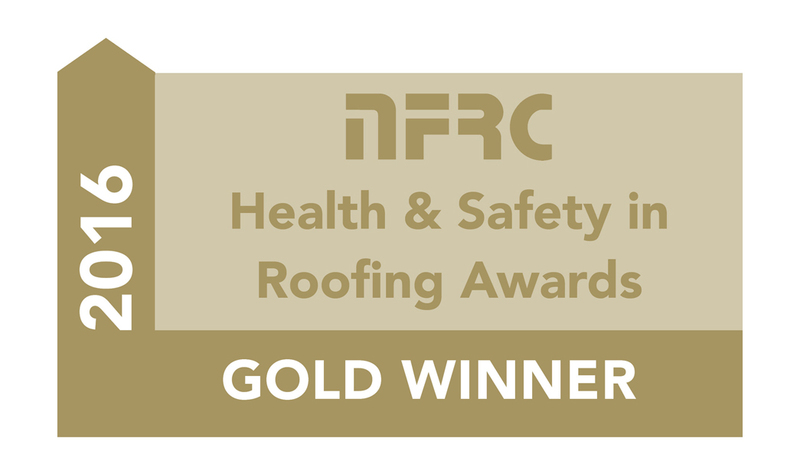 Breyer Roofing was announced Winner of the National Federation of Roofing Contractors (NFRC) Award for Gold Excellence in Health and Safety 2015. 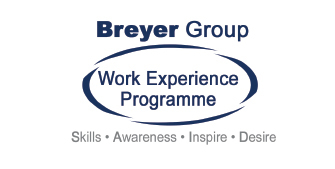 Congratulations to Breyer Group who have been named a City & Guilds Top 100 Apprenticeship Employer for 2015. 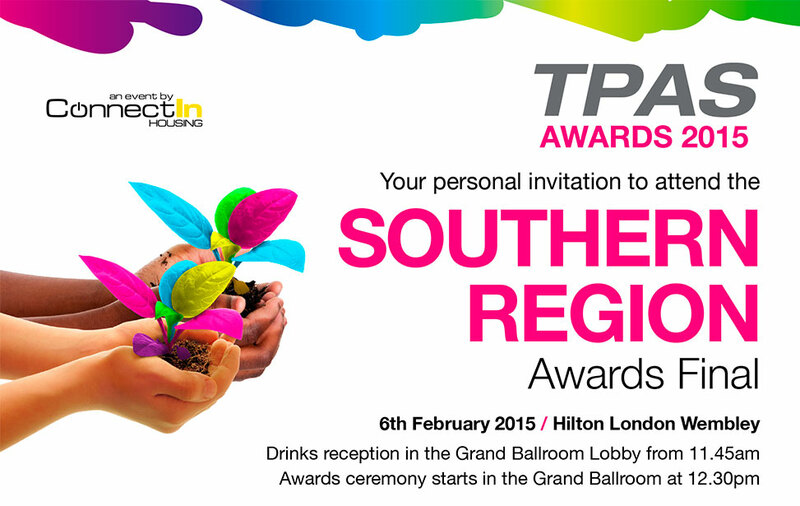 Breyer Group has been invited to join the South East Consortium (SEC). 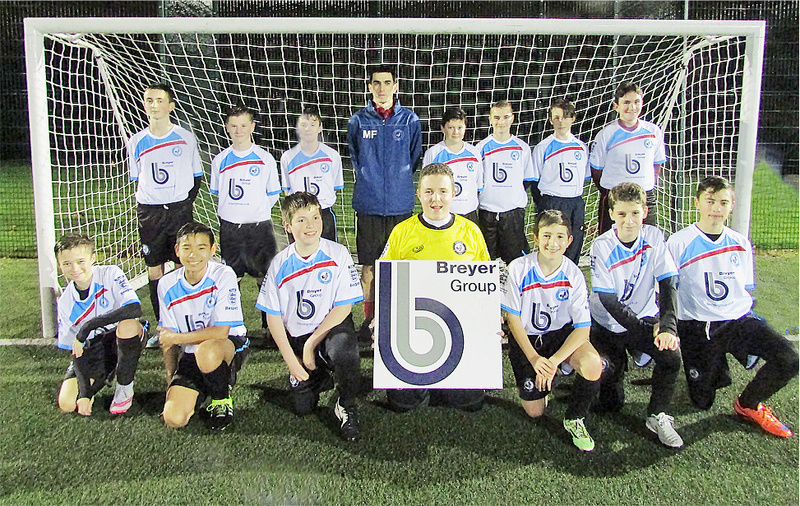 Breyer Group becomes official sponsor for FC Elmstead under 14's team. 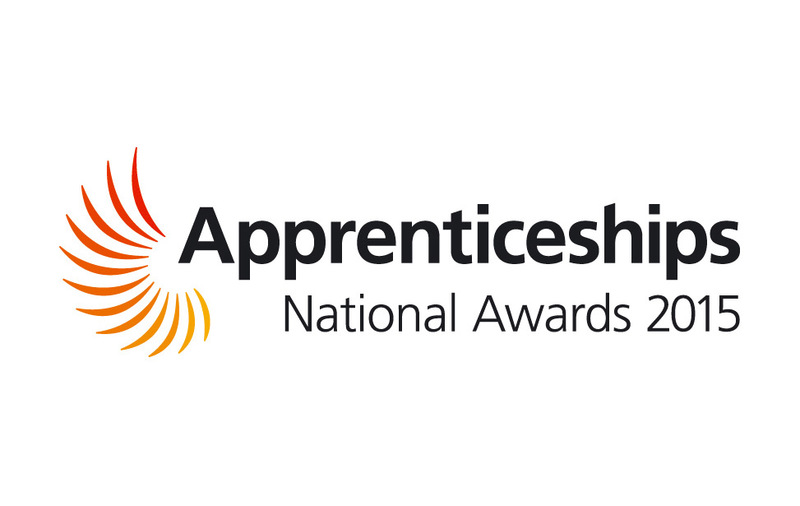 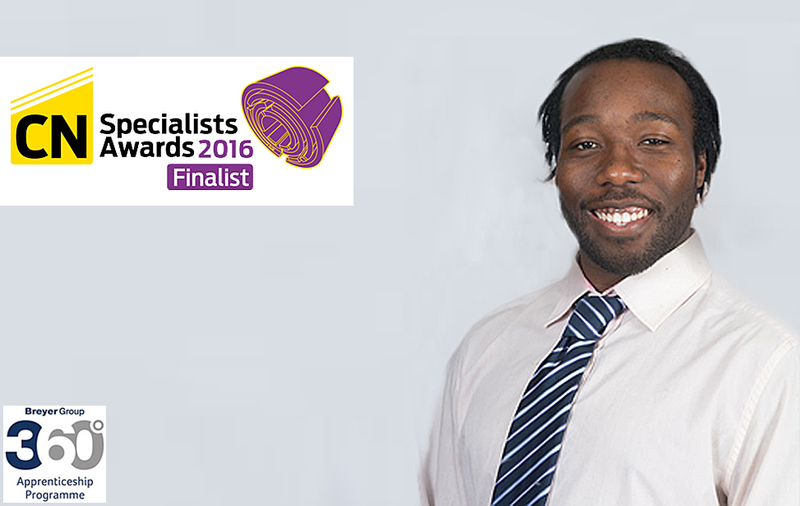 The National Apprenticeship Awards recognises Breyer Group’s 360 Apprenticeship Programme and shortlisted the company as a finalist for 'Employer of the Year 2015' along with its apprentice, Aaron Barrett for 'Advanced Apprentice of the Year 2015' (London Region). 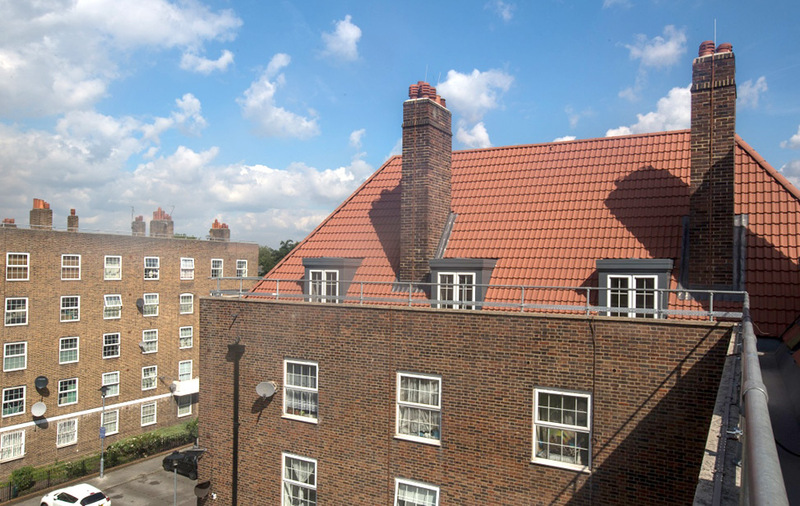 Breyer Roofing has just finished on a project to re-roof Sidlaw House in Stamford Hill, the first of ten social housing re-roof projects to be completed before 2017 in the North London area. 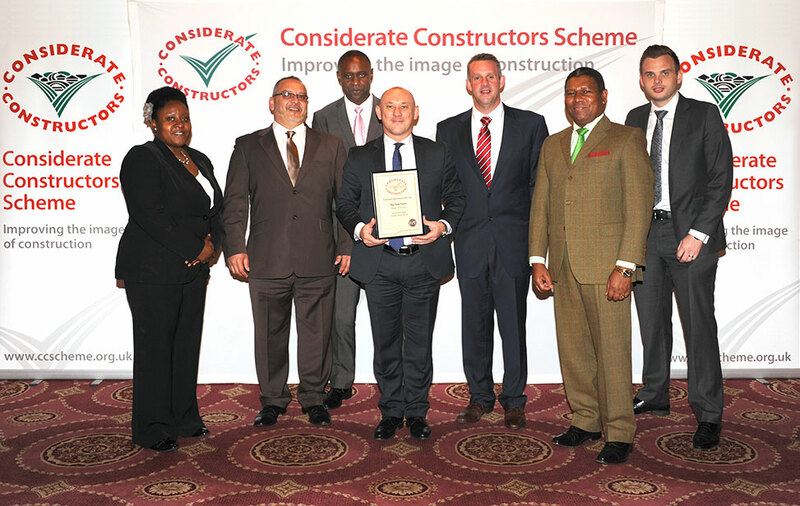 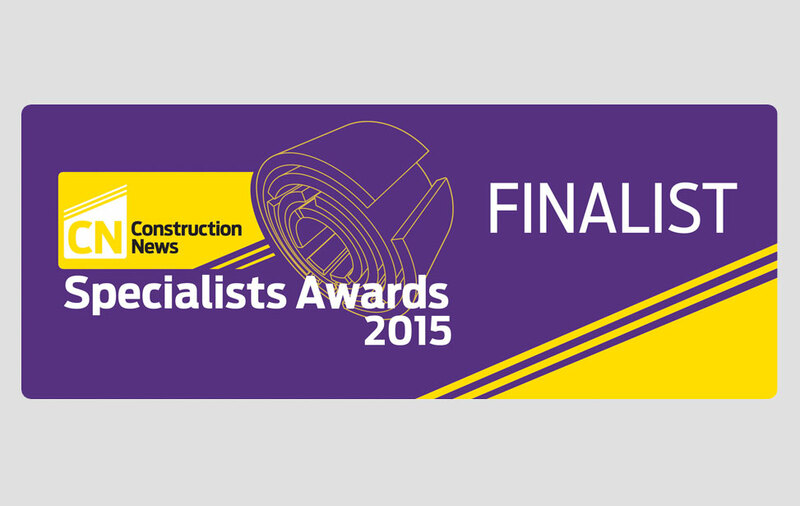 Breyer Group Plc has won Bronze Considerate Constructors Scheme 2015 National Site Awards for both the Andover Estate Pilot scheme and Channel Islands Estate project. 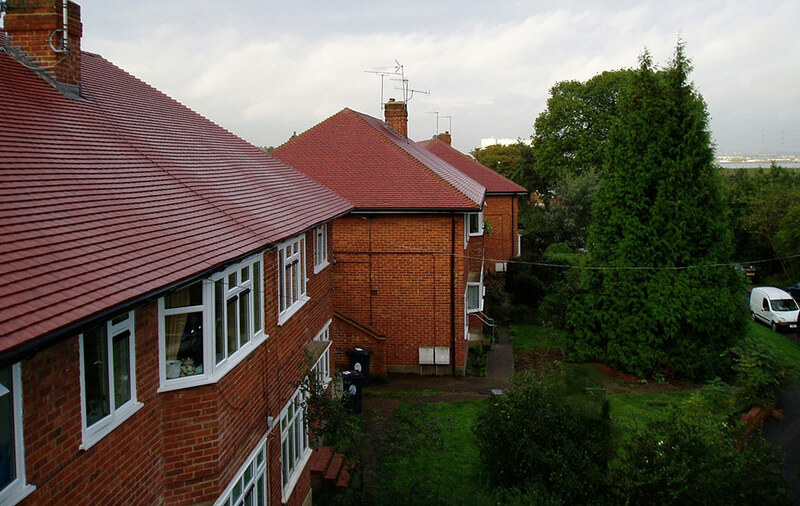 Breyer Roofing secures pitched roofing work via LHC Framework for Wokingham Borough Council. 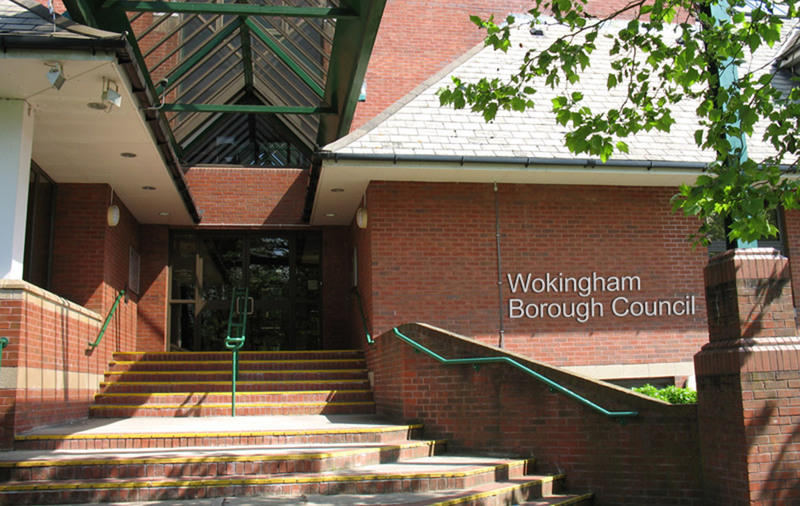 The scope of works comprises repair and refurbishment to pitched roofs throughout the Borough of Wokingham, including ancillary works such as brickwork repairs, renewal of rainwater goods, and insulation upgrades. 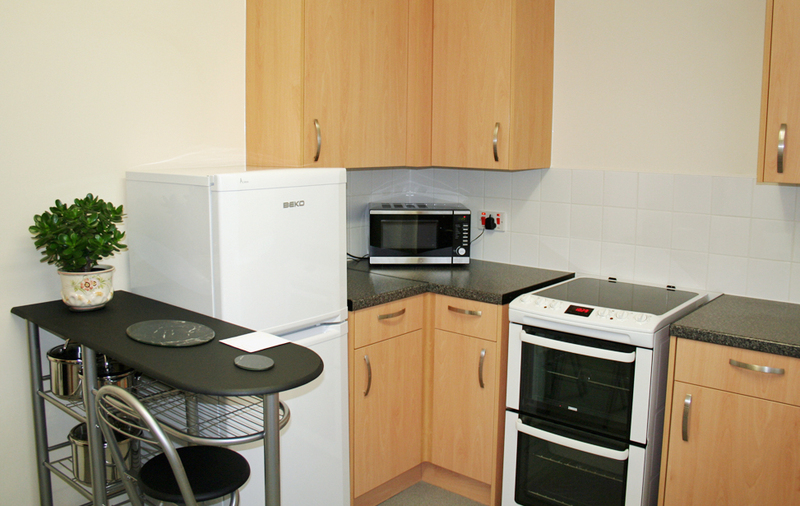 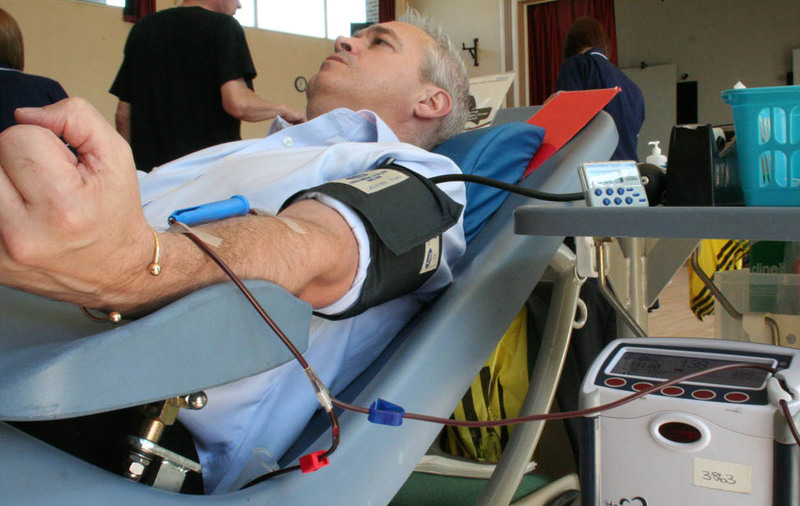 The project has a value of £300,000 and has an estimated duration of 8 weeks. 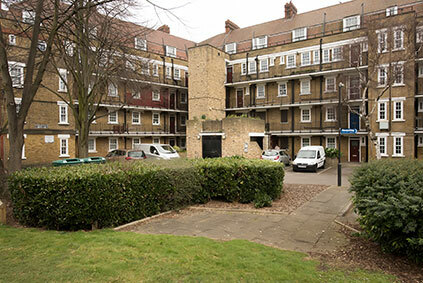 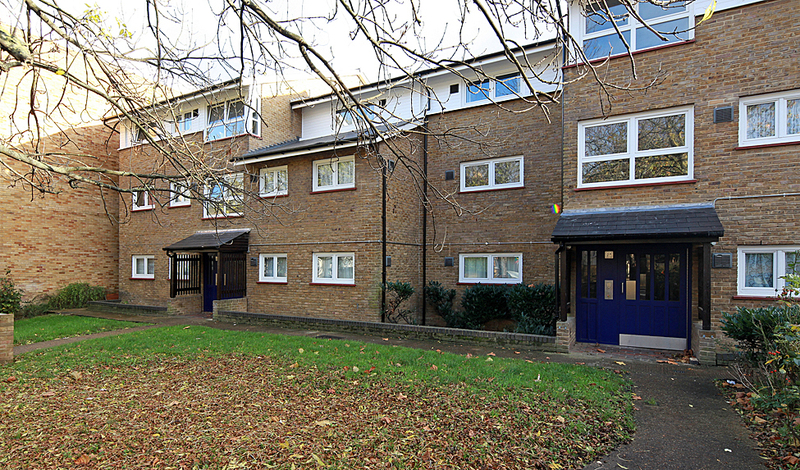 B-Line Responsive Repairs secures four-year agreement with Notting Hill Housing Group to deliver it's responsive repairs service across south and west London. 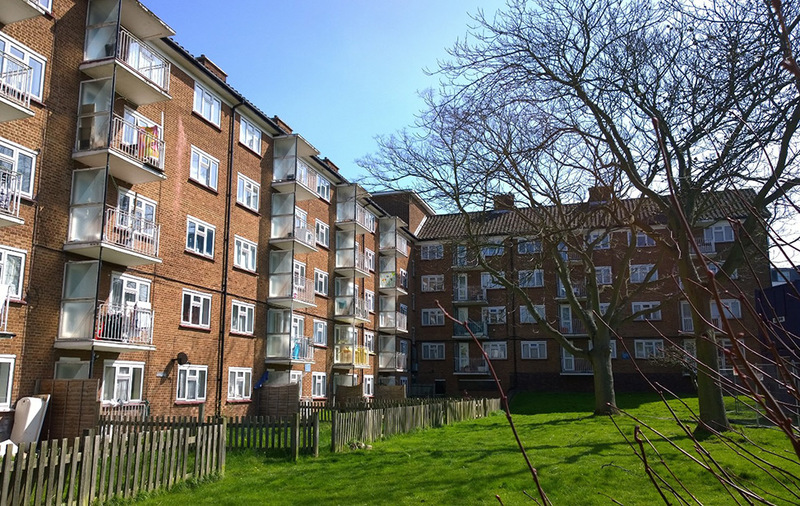 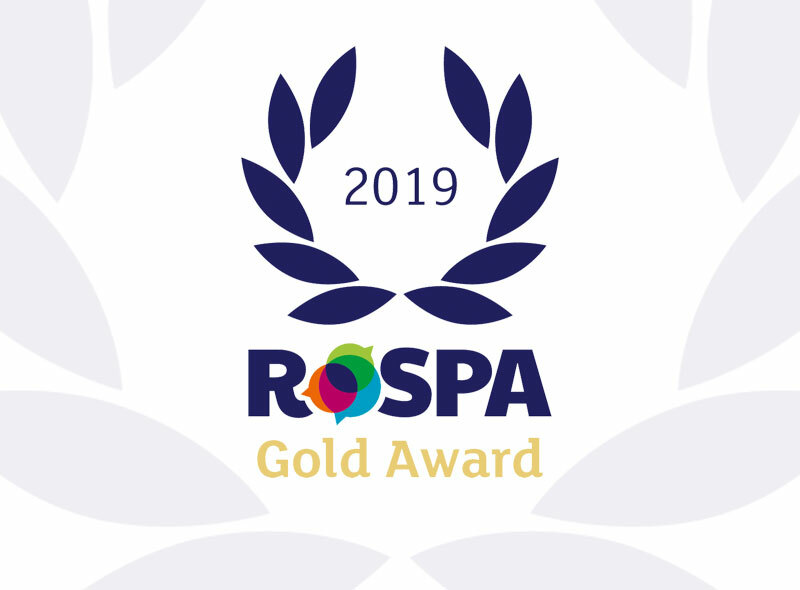 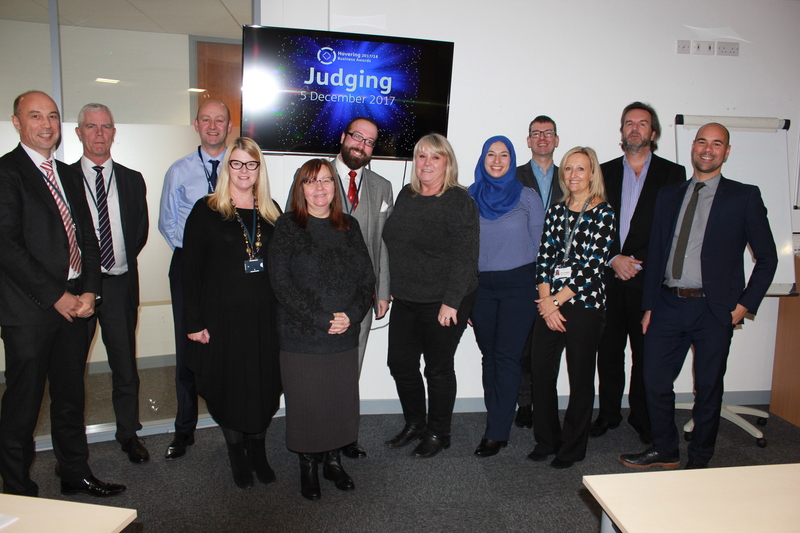 These awards are open to social-housing providers, tenants and contractors to give recognition to excellent work and, vitally, to share best practice amongst the sector so that more people benefit. 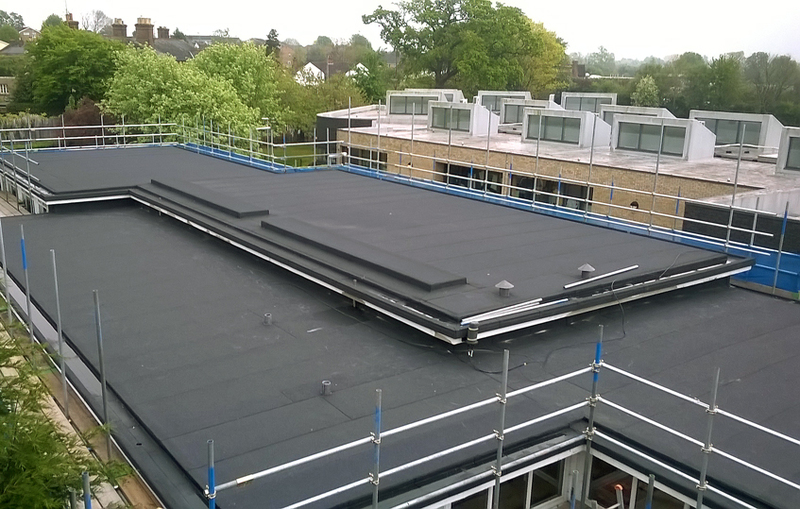 Breyer Roofing was recently appointed by Stevenage Borough Council to deliver its Roofing & Planned Maintenance Programme throughout the borough. 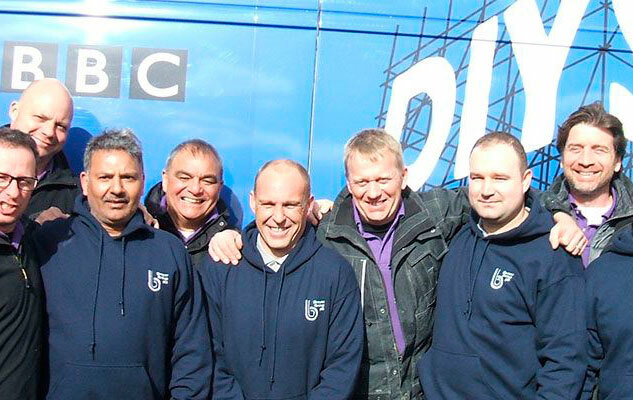 The BBC’s DIY SOS team issued a call to arms and recruited Breyer Group’s B-Line Responsive Repair team to help transform the home of Brandon and his family who live in Basildon, Essex. 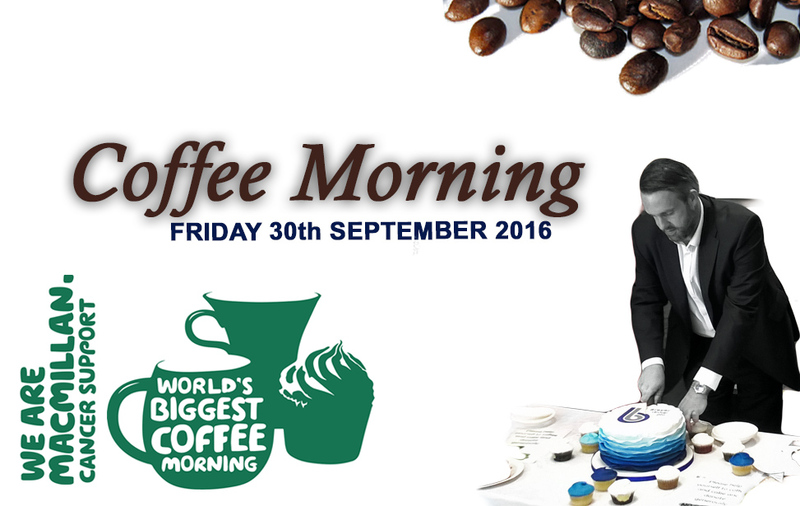 On Friday 26th September, Breyer Group got involved in the World’s Biggest Coffee Morning in support of Macmillan Cancer Support. 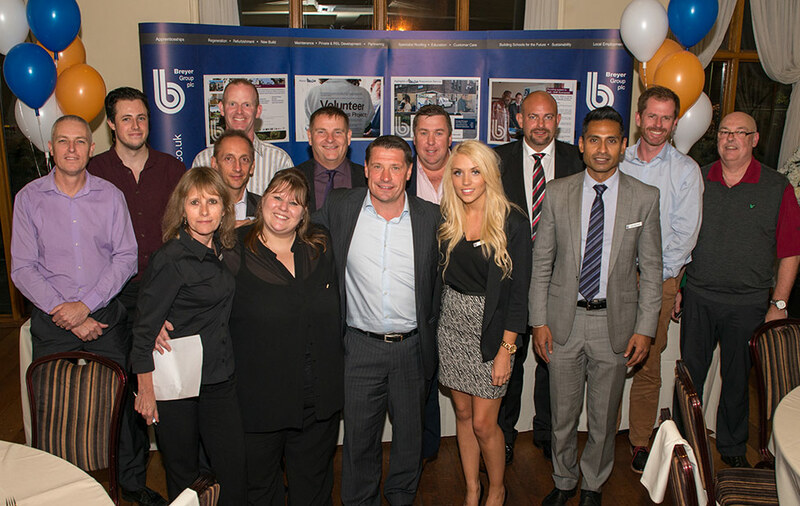 The Breyer Foundation recently held their 6th annual Charity Golf Day at Stock Brook Manor Golf and Country Club on Monday 22nd September 2014. 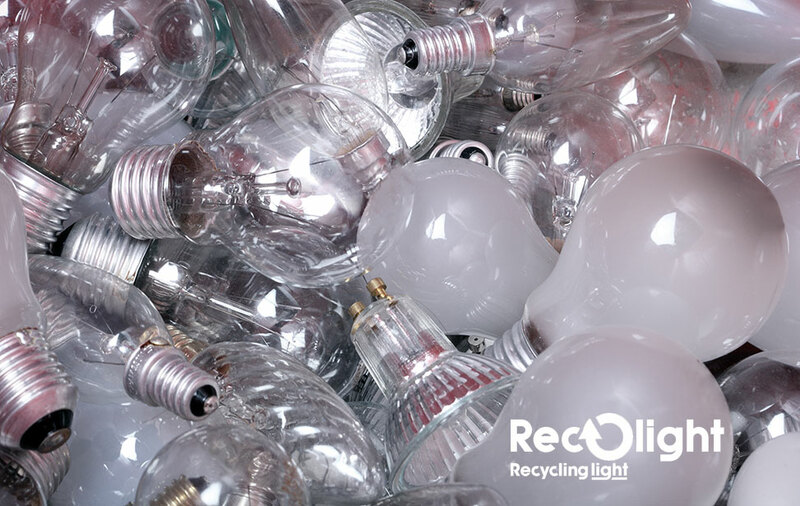 Through our relationship with Buildbase, we have partnered with Recolight, the UK’s specialist WEEE (Waste Electrical and Electronic Equipment) compliance scheme for the lighting industry.